Thorgerson and friend Aubrey Powell founded Hipgnosis, the design firm responsible for many of the greatest album covers of all time. 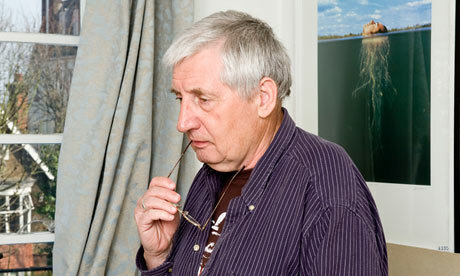 I remain a tremendous fan and encourage you to explore Thorgerson’s and his firm’s genius. A good place to start is the Hipgnosis Album Cover Gallery. You may be surprised looking through those album covers at what a significant part of your pop culture life Thorgerson has been. Being unedumacated in so many ways, I didn’t know how much of what I looked at, and couldn’t look away from, came from that one particular firm. Thanks to the post your wrote, I am able to mourn this loss more completely. It’s pretty amazing what a far-reaching impact Hipgnosis had on pop culture. I’m glad you called out Deceptive Bends. That’s one of my favorites, too — a lot going on in that package. I might have to put together a “From the Stacks” on that one.